How to listen to Spotify music on Sandisk MP3 player? Many people use Sandisk mp3 player since they are affordable and lightweight. You can store up to 4,000 songs with a 16GB SanDisk Clip Sport Plus. However, not like iPhone or Android phones, you can only transfer offline songs to the mp3 player. It's impossible to install streaming music apps like Spotify on the mp3 player. If you are a Spotify user, you may find that you can't listen to Spotify songs on SanDisk Clip Sport or Clip Jam. This is because, firstly, you can't install Spotify app on Sandisk mp3 player. 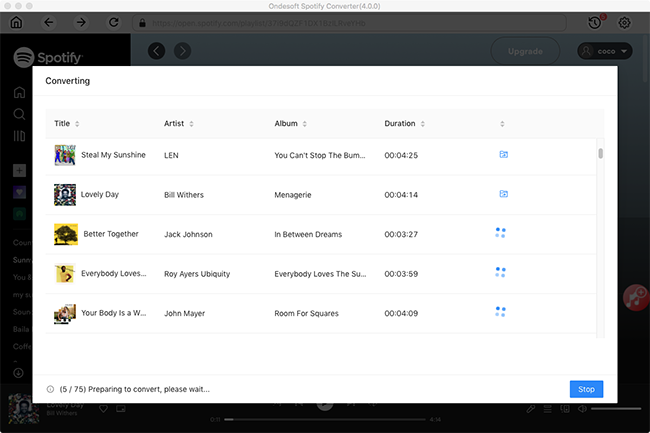 Secondly, even though you have downloaded the Spotify songs for offline listening, you can't transfer them to Sandisk mp3 player since the songs are DRM protected and can only be played with Spotify app. However, if you can download the Spotify songs as MP3 without DRM protection, you can then transfer and enjoy them to any Sandisk mp3 player just like ordinary songs. 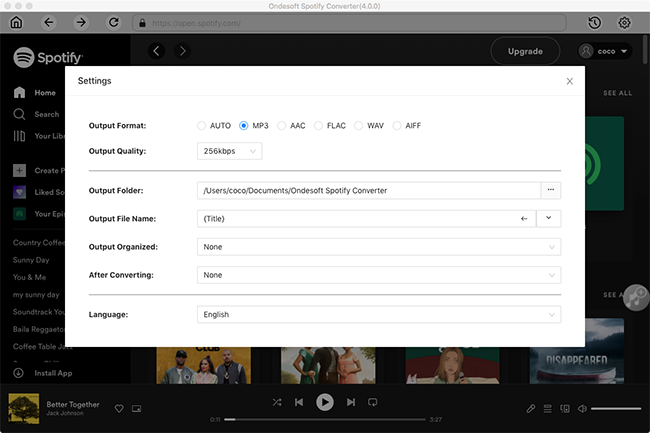 Here we will introduce you a Spotify to mp3 downloader - Ondesoft Spotify Music Converter, which allows you to easily download Spotify songs, albums and playlists as MP3 to play on your Sandisk MP3 player, clip jam or clip sport. 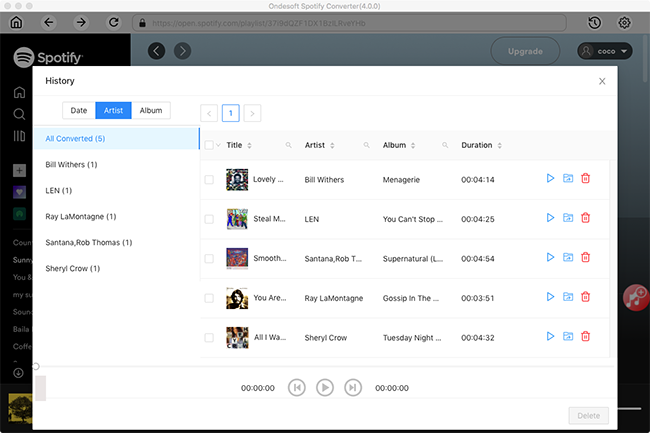 You can batch download as many song as you want, all you need to do is drag&drop the songs, albums or playlists to the interface and then click convert. It will preserve 100% original quality and all ID3 tags. Follow the detailed tutorial below to learn how to download and convert Spotify music to MP3 to play on Sandisk MP3 players. 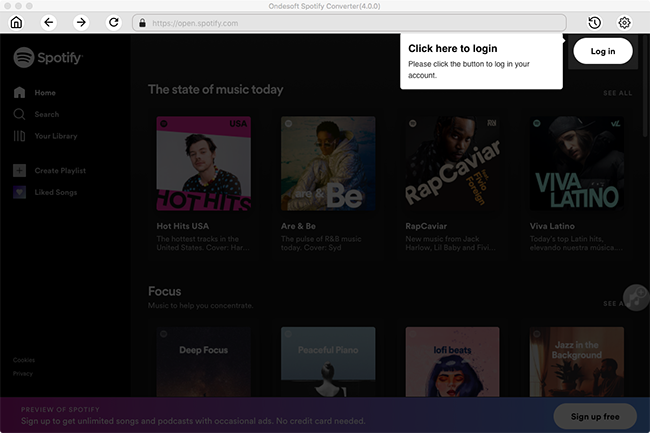 If you are using Spotify web player, click Add Files button and copy&paste links of songs or playlist to the bottom area. 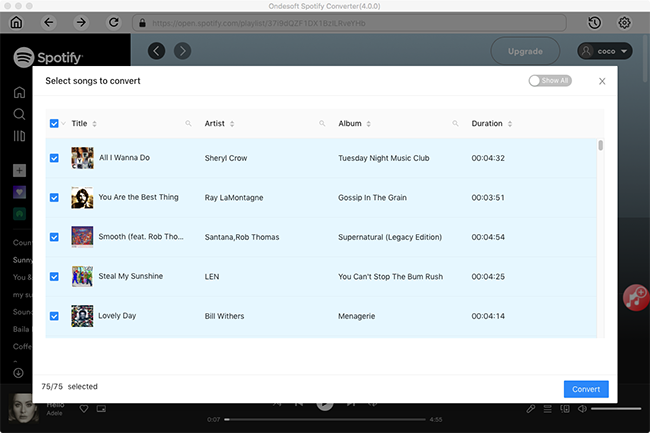 Now you can connect your Sandisk MP3 player to the Mac/Windows and transfer the DRM-free Spotify songs. After that, listen to the Spotify music on your Spotify mp3 player anytime and anywhere you want.